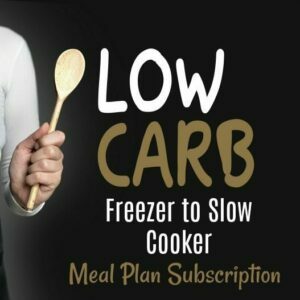 Purchase this Freezer to Slow Cooker meal plan and you’ll have a new meal plan delivered once a week on Fridays. For more information on exactly what you’re getting, go here. I was busy all day long. Cleaning up toddler messes, feeding the baby, teaching my daughter to read, answering my son’s algebra questions, answering emails, fielding phone calls, doing laundry and… you name it, I was doing it that day. And then, the question came. Let me tell you, this mom started panicking a bit. I thought to myself, “Oh no, I forgot to get any meat out of the freezer and I forgot to buy spaghetti noodles while I was at the store. And how in the heck is it already almost 5:00?” So, how did I answer my sweet daughter? I was buying myself some time, there, thinking that I was brilliant or something, lol. So at this point, I could choose to tell the honest truth, that I really had no idea what we were going to eat, or I could be a bit snarky. So… I said……. My kids always love this answer…….or not. Actually, they get annoyed. And frankly, I get annoyed by the question, but I know they’re just getting hungry and trying to cue me to get that supper going. But, having to think about supper was adding stress to my already stressful day. And it’s not their fault. I’m the one to blame for not planning ahead. So what do I do? I run to the store and buy a frozen pizza and I feel guilty for not having a nice, home-cooked meal ready for them that night. Maybe this scenario isn’t just like yours, but I bet you have other dinner time problems. Do you struggle with deciding what to fix for dinner? Me too! Are you serving dinner late every night? Like 9:00 p.m. in the summer time…. Maybe you’re just plain tired and don’t have the energy to slave over a hot stove? Do you hate having to cook dinner after being at work all day? 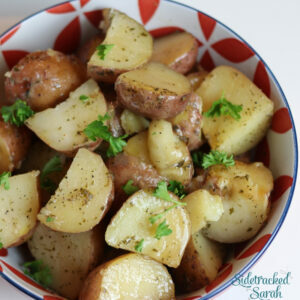 Can you think of about 10 other things you’d rather be doing than making dinner every night? Do you ever just wish that you could get something on the table as quickly as possible, without having to think about it? 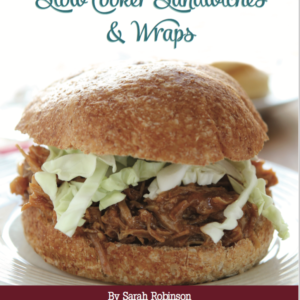 Maybe you’re sick and tired of not having the right ingredients on hand when you need them? Like every day…. 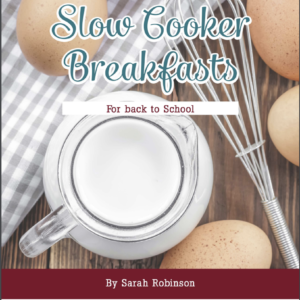 Hi, I’m Sarah Robinson, a homeschooling, work-from-home mother of 7 kids. Yes, I’m sidetracked and genuinely busy, but I believe I have the answer for you! I’ve been using it for months and it is literally A GAME CHANGER! The idea, is to prepare all of your dinners for the week, all at once! Typically, I will prepare my meals on Saturday or Sunday and spend 1-2 hours doing it. That frees up my meal times the rest of the week for everything else that I need to do (or want to do). I still prepare a side or two to go with the main course, but that can be super easy, like a bag of veggies or something else similar. Of course, if you’re not the type who would want to prepare your meals all at once, this meal plan will still help you. You can still use the meals on a daily basis and prepare them a day at a time, instead of a week at a time. Either way, since you’re using a slow cooker or an Instant Pot, your food will still be ready at dinner time, without having to slave over the stove to get it. Why Should I Buy The Freezer to Slow Cooker & Instant Pot Meal Plan Subscription? 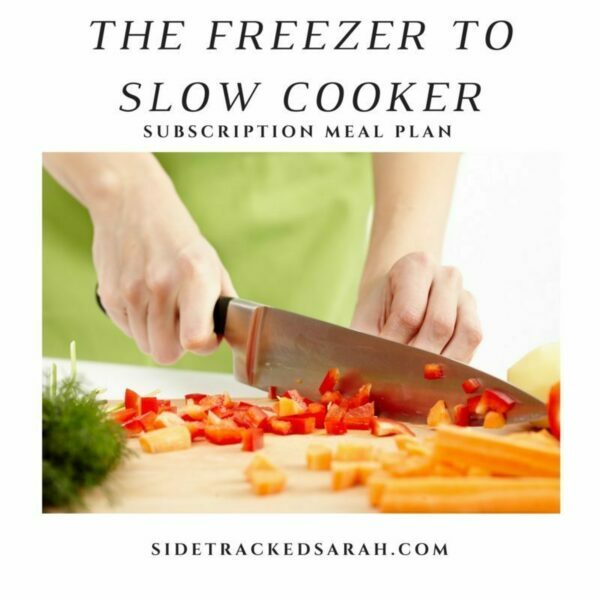 Saves Time – A recent survey revealed that 90% of Sidetracked Sarah readers have said that they love Freezer to Slow Cooker meal plans because they save time. What family doesn’t need more time? The beauty of this plan, is that I make your meal plan for you. You don’t have to think about it, you don’t have to plan your grocery list, you just have to hit print (or pull it up on your phone) and go! So simple! Less Stress in Your Life – One of the things that causes me stress, is always having decisions to make. When you don’t have to make the decisions about dinner, your stress level will go down. Also, by not having to hurry around to cook dinner in a timely manner, your meal times will be so much less stressful. Picture yourself at dinner time on a regular basis and think about the chaos that often surrounds it. Now, picture you walking into the kitchen at 5:00 p.m. with dinner already ready. You may have to make a quick side dish, but that’s nothing compared to starting a dinner from scratch. This can happen on a daily basis and you’ll get delicious food! No more take-out every other night! Saves Money – Many people have told me that cooking from scratch more has helped them to save money on groceries! By having a plan when you go to the grocery store you’re more likely to stick to the list, rather than buy lots of convenience foods, too. We all know that convenience foods can add up fast! Keeps You Out of the Kitchen Every Night – This is the number one benefit to me. I don’t like stopping whatever it is that I’m doing that day, to start dinner. I love being able to put it in, in the morning and have it ready later in the day. It’s Easy – This plan is so easy! You just chop some vegetables, gather some meat and spices, and start dumping them into one-gallon sized freezer bags, until you’re ready to cook them. Great Variety Every Week – This menu will typically have one pork recipe, 2 chicken recipes, 1-2 ground beef recipes and 1-2 other cuts of beef recipes. There will be some variations, but that is what I like to stick to. There will be a mix of Mexican dishes, Italian dishes, American dishes and more. We love variety, but we also love pleasing a kid’s taste buds, so they are very kid friendly! When you look at the cost on a weekly basis, if you sign up for the $14.99 a month plan, it is like paying someone $3.74 per week to pick your meals, make your grocery list and tell you exactly what to do to get your meals prepared a week at a time. If you choose the annual option, you’d be paying even less per week! Plus, by having a menu plan, many Freezer to Slow Cooker & Instant Pot users have reported that it actually saves them money because they don’t buy unneeded items at the store in desperation! They quit buying as many convenience foods, too. I don’t have time to assemble the meals each week. If you don’t have the time to do a week at a time, you can assemble a day at a time. You don’t have to prepare them in advance, it’s just a nice little asset to help you, if you can make the time for that. A typical meal preparation time typically takes about 1 hour, but sometimes takes closer to 2 hours, depending on the recipes involved. What if I don’t Like the meals? If you don’t like them, you can cancel your subscription at any time. But, I’ve been told time and time again, that families LOVE my meal plans. They’re very kid friendly and easily adaptable! We’ve made the grocery list so that it’s super easy to mark things off that you won’t be needing. Each recipe is numbered, and each ingredient has the recipe number by it, so if you don’t need it, you can check it off of the shopping list very easily. This also helps you when you’re taking inventory of your own pantry at home. OK, I can’t wait to start having less stress at dinner time! Sign me up! I’m so excited that you’re ready to start making meal time less stressful. Less stressful = better! I purchased the 10-week plan and have been preparing my freezer to crockpot meals for four weeks now.